Demonstrating how the private sector can play a major role in mitigating climate change, the Forest Stewardship CouncilTM (FSCTM) announced at the UN Climate Change Conference (COP23) in Bonn the support from IKEA of Sweden and SIG Combibloc aiming to document the positive impacts of wood sourcing and forestry. “By protecting and restoring forest ecosystems and improving forest management practices, FSC has a direct positive impact on curbing global warming. 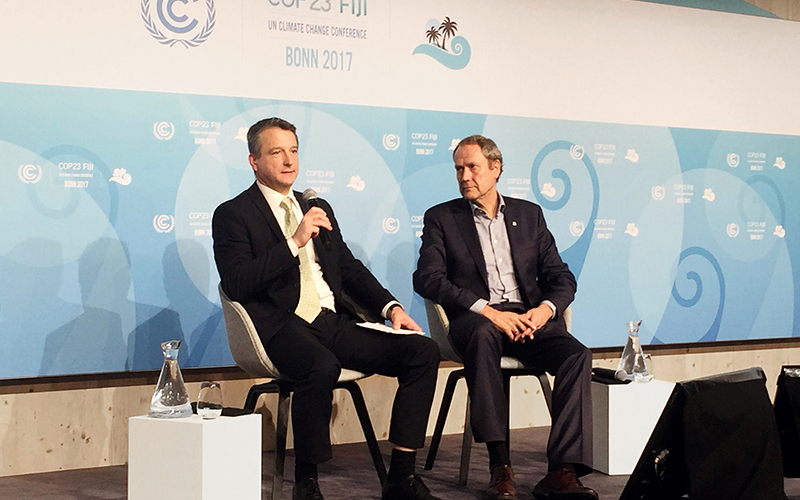 Specifically quantifying these positive impacts will allow companies and consumers to better understand the importance of responsible forest management in helping to prevent global warming and eventually become a catalyst for increased demand of products that come from these sources,” says Kim Carstensen, Director General of FSC International. “We want to be net positive by contributing more to society and the environment than we take out. We call that going WAY BEYOND GOOD. An important part of our net positive commitment is supporting global action on climate change as well as on the regeneration of natural resources. Since 2009, SIG has led the industry in providing FSC-certified carton packs. Today, more than 80 per cent of SIG carton packs are carrying the FSC label. More than 60 billion SIG packs have now been sold with the FSC label. Showing the climate benefits of FSC-certified carton packs in a scientifically robust way will further support our target of 100 % FSC labelled packs,” says Udo Felten, Manager Product Related Global Environmental Sustainability & Affairs at SIG.